Feb. 10th. Team Sign Ups at 2:10 in the Gymnasium. 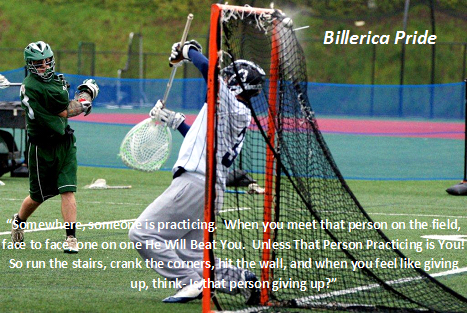 All returning players, new freshman, and anybody interested in playing for the 2015 Billerica Lacrosse Family. “A family (team) is like a fist. Complete with communication, caring, trust, pride, and collective responsibility.